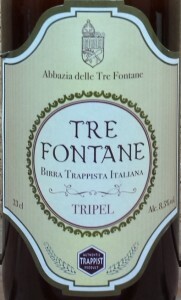 Spencer (originated in Massachusets,USA ) and Tre Fontane ( originated in Rome, Italy ) are the latest addition to the world of official trappist beers. Belgiuminabox now provides the opportunity to have all official Trippast beers delivered at your doorstep! 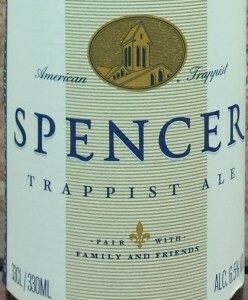 Saint Joseph’s abbey’s Spencer is the first -and so far only- trappist outside of the continent of Europe. Story goes the monastery was in financial need, but their original idea of building a windmill-park was prohibited by the local authorities. Spencer found the solution and with some help from Westmalle and Westvleteren, they’ve started producing their own beer.Over twenty test batches were made before settling on the final recipe.The abbey was declared official ATP on December 10th, 2013. They also produce a line of jams and jelly wich are sold under the brand new Trappist preserves and is very popular. As we now have the biggest possible selection ( including all trappist beers,glassware and beer-signs currently out there ). We are very curious to what you think is currently thé best trappist beer out there ! Belgiuminabox.com is happy to announce another release in our Tasting Favourites-Series. 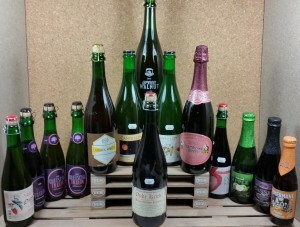 We have put together yet another fine selection of Lambic brews! This time we managed to get a collection together with a wide range of Fruit-Lambics with as many different kinds of fruit as we were able to. With the recent re-release of the Cantillon Fou’ Foune, which all lambic lovers have been waiting for, together with Oud Beersel’s Green Walnut, Pierre Tilquin’s Mûre and many more we succeeded in putting together a collection worth being labeled ‘Tasting Favourites’. Along with previous releases like the Lambic Blends Collection’s, Horal and Friends and others which all sold out quickly, we are confident this pack will be appreciated by any Lambic enthousiast. De Cam Lambiek Special 75cl – Yellow Gooseberry, Blackberry and Sour Cherry. So if you want to get your hands on the ultimate Fruit-Lambic Collection of 2015 this is were you have to be.